Tyler Morris has been playing guitar at a professional level since he was 11, and at the ripe old age of 19 is about to release his third album internationally. But Tyler is not just another young musical genius — his gift runs deeper than an amazing set of ears paired with two very skillful hands. Ever since he picked up a guitar, Tyler has been driven to get to the roots of the songs and styles he learns and absorbs, and to reflect his huge and growing body of influences onto his own interpretations and eventually, his own compositions. 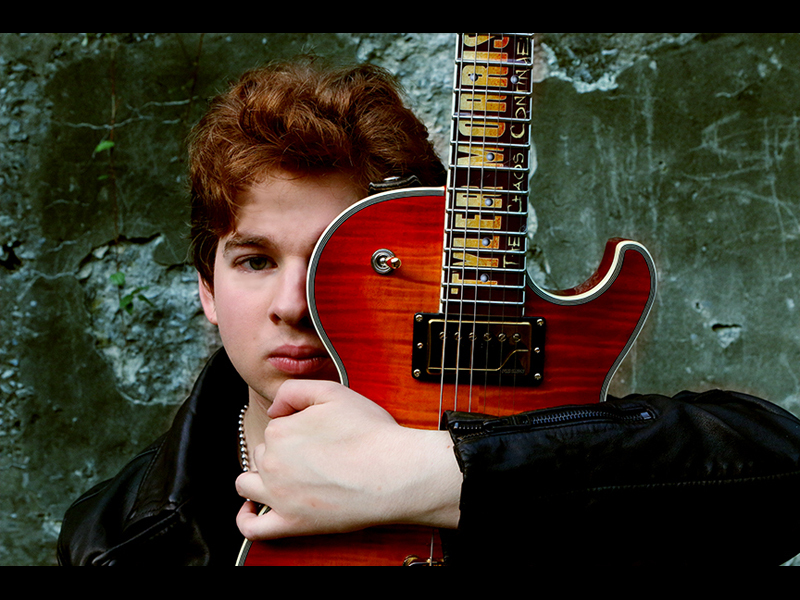 Thanks to his father’s music collection, Tyler developed an affinity for Blues and Rock music around the age of 6, and settled on guitar as his primary obsession at 9. He would work on songs by Eric Clapton, Aerosmith and B.B. King until he could do a faithful rendition of the originals, his focus moving from Rock to Blues and back again, exploring AC/DC, Lynyrd Skynyrd, and Led Zeppelin. Tyler then turned to Van Halen, learning their catalog and channeling that style so thoroughly that he was later featured in a blazing tribute video to Eddie Van Halen’s technique for Vintage Guitar magazine. Tyler began writing songs at 13, and released his debut album, “And So It Begins,” in 2015. This auspicious debut got the immediate attention of guitar fans around the world, with reviews and features in Guitar Player magazine, Vintage Guitar, Heavy Riff in Mexico, Guitar Plus in Asia, Metal to Infinity, and Korea Guitar as well as many other online Magazines and media outlets. In June 2016, Tyler released his second album, “The Chaos Continues”, and the media buzz and attention continued to grow. Tyler Morris is constantly challenging himself, learning and growing as an artist. When he’s not performing onstage, Tyler demonstrates for Dean Guitars, REVV amps and Fishman Electronics, and is designing his own line of guitar effects pedals. Tyler has accomplished so much in such a short time, it will be a pleasure to see where he goes from here. "The first time I heard Tyler Morris play I was astounded at how young he was & the vastness of his feel & lick repertoire. Plus… he could transition from one to the next with complete fluidity & no effort. I hate him. Hahaha".